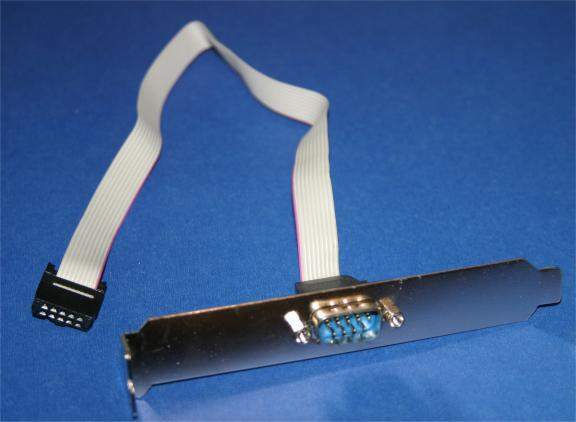 A 12" Ribbon cable with one end db-9 Male and the other IDC 10 pin Female. These small cables plug into motherboards and some I/O Cards. We sell a Longer Version of this Part 07130. The Easiest Way to tell which of these you need is to pull off the Housing as Pictured above.